The quality of our sleep determines the people we are: when our sleep is disturbed, it affects our mood and ability to function. 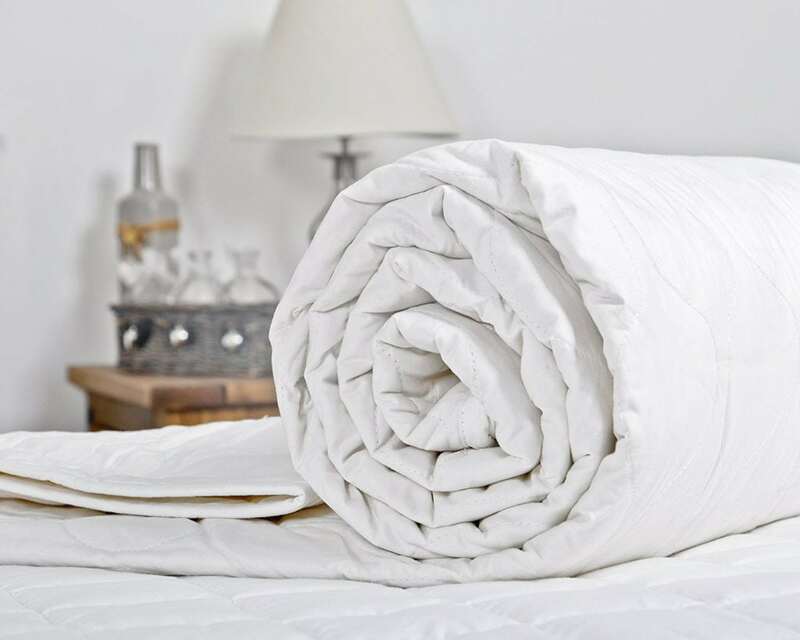 We live busy, stressful lives and insomnia is on the increase, but something as simple as choosing the right bedding can make a huge difference. As we move into the summer, it’s time to look at a new duvet. Here at Empress, we offer a range of options to tailor-make your perfect night’s sleep. The Tog Rating system offers an at-a-glance guide to how warm – or cool – a duvet will be. It’s not only about thickness, however: it’s a lot smarter than that. When birds fluff up their feathers, they’re trapping a layer of air around their bodies, which will keep them warm. Our duvets work in the same way: the warmth our bodies generate is trapped or released by the filling, keeping us warm, or cooling us down. We manufacture to exacting specifications, so whether you choose natural down or a synthetic filling, the Tog Rating will be consistent. The lower the Tog number, the cooler a duvet will be, so when the weather’s warmer, go for a 4.5. You’ll feel less hot and sticky when you’re trying to get to sleep, and you won’t wake up freezing cold, on top of the duvet, at 3am. By allowing warmth to escape, your 4.5 Tog guarantees a more even body temperature and a much more comfortable night. In the winter, however, we want to curl up cosy, so we’d recommend a 13.5 Tog, which will offer a more substantial weight and a much higher level of insulation. We wouldn’t especially recommend one, year-round duvet, but if that’s what you’re after, we’d suggest a 10.5 Tog. It’s a compromise, though and you may not always be as comfortable as you’d like to be. If you have problems getting to sleep – or staying there – change your duvet with the season. You wouldn’t wear your winter coat in July!